Double BA in Special Education and Physical Education with K-12 Teaching certificates and a coaching endorsement. Matt Eldred holds a BA in Special Education with K-12 endorsements, a BA in Physical Education with K-12 Endorsements, and an MA in Educational Leadership and School Administration. He holds a level 4 credential with the Office of Professional Development for the State of Colorado and am Large Center Director Qualified with the department of Human Services for the State of Colorado. Matt came to TLC after many years serving as the Executive Director of Boulder's Acorn School and Wilderness Early Learning Center. His experience in early childhood education includes his membership with the Colorado Association for the Education of Young Children, position as Chairman of the board of the St. Vrain Valley School District Early Childhood Advisory Committees, membership on the Front Range Community College Boulder Campus Early Childhood Council, membership on the Human Services Alliance for Boulder County (Executive Committee member), membership on the St. Vrain Community Council, and membership on the the Advisory Council for the Early Childhood Education Council of Boulder County (ECCBC). Matt is heavily involved in both the Longmont and Boulder County communities through active participation in the Foothills United Way Longmont Area Economic Council, as well as the Longmont Chamber of Commerce. He is the Former President of the Boulder County Association for the Education of Young Children. Matt is an American Red Cross volunteer, serving as a community first aid and CPR instructor. He also serves as the Worship Minister for the Boulder Valley church of Christ, and is a proudly raised Nebraska Cornhusker fan. Matt's five children are ages 15, 11, 11 year-old twins, and 9. His children are his biggest accomplishments and his pride and joy. Matt enjoys recreational outdoor sports and plays on an adult basketball league. Cindy Wickham's career has been centered around her desire to make a difference in the field of Early Childhood Education. She earned a BS from Western Michigan University with a double major in special education and elementary education; an MA in Early Childhood Education from Central Michigan University; and an Educational Leadership degree from Grand Valley State University. She has over 25 years of classroom experience as a special education and general education teacher with children birth to eight years of age, and as a community college instructor. Her passion continued in Early Childhood Education leadership as a community innovator (co-founder of a Mentor a Mom program), Early Childhood Curriculum Coordinator, Elementary Principal, Head Start Director, and Great Start Readiness Director/ Early Childhood Specialist, all in the state of Michigan. She enthusiastically joined TLC Learning Center in December of 2012 as the Educational Services Manager/ Child Care Director. Cindy has married for 38 years, and loves spending time with her husband, two wonderful adult children, two amazing grandchildren, and her rescued Labrador. Cindy feels privileged to be part of such a passionate and dedicated staff, focused on the success of all children in the highest quality inclusive program for our youngest learners! Karianne has worked in a childcare center environment for two years, and has worked with children since she began babysitting at 12 years old. She is originally from Minnesota and moved to Colorado in 2005 to be close to her sister and nieces and nephews, ranging in age from two to 20. Karianne enjoys spending time with friends and family, lake and winter sports, and cheering the Minnesota Vikings, the Wild, and the Twins. Early Childhood Education has always been her passion and she loves being able to help children and their families learn and grow. Her nursing degree enables her to work with children who have medical needs, as well as children with typically developing abilities. Amanda holds a BA in English and an MA in Teaching from the University of Arkansas (go hogs!). She began her career teaching high school English in Little Rock, Arkansas, before moving to the non-profit sector with the Boys & Girls Clubs in Austin, Texas. She started at the Boys & Girls Club as a Club Director at Reagan High School and the Ann Richards School for Girls before moving into development, fundraising, and website building. She came to Colorado with her husband and joined the TLC staff in 2012. They have two dogs, one cat, and a three-year-old daughter in the TLC preschool program. When not working, Amanda likes baking, gardening, reading, and writes fiction. She is a graduate of programs at the Lighthouse Writers Workshops in Denver and the Tin House Winter Workshop in Oregon and published in The Missouri Review. Breck Johnston came to TLC Learning Center in 2012, after 10 years of billing experience in a medical office. She moved to Colorado in 2000 and is raising three children in Longmont. When not working, she enjoys hiking and laughing. Breck is currently a student of Regis University working on a Master's Degree in Marriage and Family Counseling. Bernadette Koppang-Miller is a parent of two alumni of the center. Those alumni have now graduated high school. Bernadette has worked for TLC Learning Center since 2001. She holds a BA in Long Term Healthcare Administration from Southwest Texas State University. Bernadette is always impressed by the passion, compassion, and strong advocacy of her co-workers and the families the center serves. In her time away from work Bernadette has become a sports fan watching her kids participate in various sports and watching her husband coach high school football. She volunteers with Special Olympics Colorado and various nonprofits in Boulder County. Bernadette enjoy reading, knitting, spending time with her family and dog, and working towards her new goal, learning Spanish. 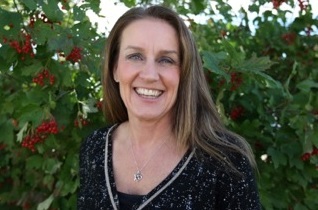 Kristi is the founder of Hattig CPA in Longmont and has over 25 years of accounting experience in both the for and non-profit fields. Dianne was a long-time TLC volunteer before joining the staff in an official capacity. She is from Wyoming and is mother to twins. She enjoys hiking, camping, skiing, canoeing, and cooking. She loves to see the joy that children bring to what they experience every day. Before joining TLC, Dave owned Bike-n-Hike bicycle center in Longmont from 1974-2006. Dave and his wife Bonny have two children who grew up working in the store, and two granddaughters attending school in Longmont. At the store, Dave frequently helped children with special needs adapt to riding bicycles, tricycles, recumbents, and tandems, finding joy in working with special needs children that led him to TLC. When not working, he enjoys hiking, bicycling, music, and sports. He and his wife Bonny have toured Colorado together on a tandem bike! Kara coordinates all events at TLC, including the Christmas Tree Festival and the Kentucky Derby party. Kara has over twenty years of events planning experience in a variety of industries including Boulder book publisher Westview Press, Broomfield law firm Cooley Godward, commercial property management company Brookfield Properties, the fundraising division at the University of Colorado Boulder and as Development Director at Boulder County AIDS Project. Kara has a bachelor’s degree in News Editing and Public Relations from the University of Colorado, Boulder and has lived in Longmont since 1996.